A story in the Feb. 1, 2018 edition of the North Coast Journal headlined "The Humboldt 35" contained potentially unclear information. 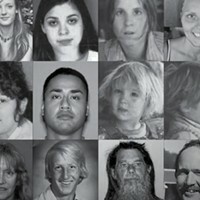 Todd Matthews created the initial National Missing and Unidentified Persons database, which is a program of the National Institute of Justice. Matthews continues to serve as the program's director. The Journal regrets any confusion.